Pre-recorded video discs featuring movies and television programs; pre-recorded audio discs featuring music and radio programming; pre-recorded CD's containing music, video and television programes. 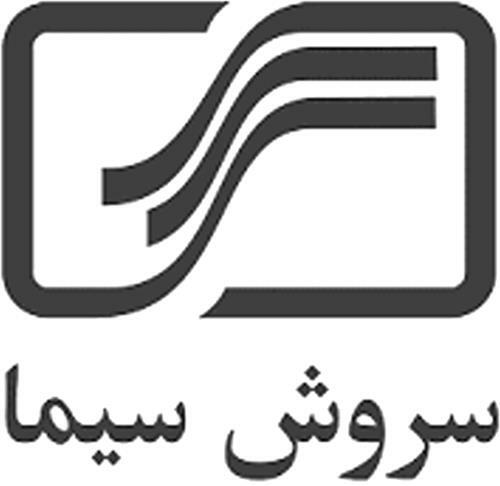 Video-on-demand transmission services; audio-on-demand transmission services; streaming of audio and video material on the Internet; broadcasting in the field of audio, radio, video, motion picture and television; broadcasting of television, video and audio programming via satellite, the Internet and cable; video broadcasting; entertainment services, namely, production of television shows, radio broadcasts, video programs and movies; film, video and television program production; production of DVD's, CD's, video discs and video tapes featuring television programmes; pay per view television and video services; providing programming in the field of radio, television and motion pictures; audio and video broadcast transmission over a global computer network. On Friday, December 5, 2008, a canadian trademark registration was filed for ARABIC CHARACTERS DESIGN by AVA TELECOM LTD. Veritas Place, 6th Floor, 65 Court Street, Hamilton HM 12, BERMUDA . The Canadian IP office has given the trademark application number of 1420914. The current status of this trademark filing is Registration published. The correspondent listed for ARABIC CHARACTERS DESIGN is RICHES, MCKENZIE & HERBERT LLP of SUITE 1800, 2 BLOOR STREET EAST, TORONTO, ONTARIO, CANADA M4W3J5 The ARABIC CHARACTERS DESIGN trademark is filed in the description of Pre-recorded video discs featuring movies and television programs; pre-recorded audio discs featuring music and radio programming; pre-recorded CD's containing music, video and television programes. , Video-on-demand transmission services; audio-on-demand transmission services; streaming of audio and video material on the Internet; broadcasting in the field of audio, radio, video, motion picture and television; broadcasting of television, video and audio programming via satellite, the Internet and cable; video broadcasting; entertainment services, namely, production of television shows, radio broadcasts, video programs and movies; film, video and television program production; production of DVD's, CD's, video discs and video tapes featuring television programmes; pay per view television and video services; providing programming in the field of radio, television and motion pictures; audio and video broadcast transmission over a global computer network. .
(2) - Video-on-demand transmission services; audio-on-demand transmission services; streaming of audio and video material on the Internet; broadcasting in the field of audio, radio, video, motion picture and television; broadcasting of television, video and audio programming via satellite, the Internet and cable; video broadcasting; entertainment services, namely, production of television shows, radio broadcasts, video programs and movies; film, video and television program production; production of DVD's, CD's, video discs and video tapes featuring television programmes; pay per view television and video services; providing programming in the field of radio, television and motion pictures; audio and video broadcast transmission over a global computer network.